Since the whitewashing of the street art in the 5 Pointz area in Queens in 2013, artists have started flocking to other neighborhoods of New York City such as Astoria, Queens and Bushwick, Brooklyn to display their creative talents and keep the street art culture alive in the city. 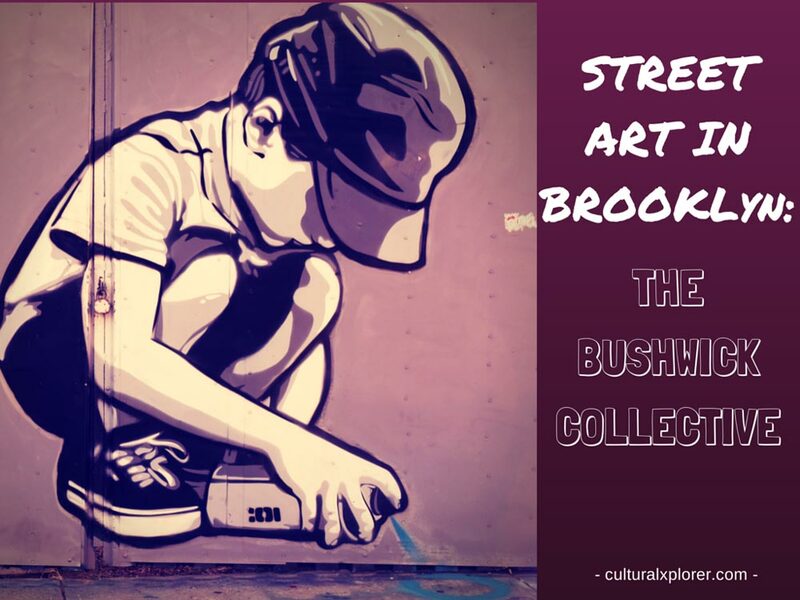 In 2011, the Bushwick Collective was started by lifelong Bushwick resident Joe Ficalora as a massive outdoor showcase of street art and to clean up the neighborhood. For many decades, Bushwick was one of the worst neighborhoods in New York City where few ventured to due to the drugs and crime in the area. The only thing that covered the walls were tags (scribbled names) and they were a massive eyesore. Personally, I had never been to Bushwick until recently to see the street art just because of the negative rap it had gotten, and when I visited, I could see that it has undergone a MASSIVE change in not only the demographics, but also the types of businesses that are found in the area. Joe describes the work as like ‘the sun coming up in Bushwick’, and it truly shows. [You can watch a full interview on Joe and and the Bushwick Collective on Vimeo]. Artists come from both the local area and from around the world. I was able to see Brooklyn native Lmnopi hard at work on a mural when I was passing through the neighborhood and also to see another piece of art by Stik, an artist whose work I had seen in London. I was also happy to see work by the Meres One, the former curator of the famous 5 Pointz in Queens, which has now been whitewashed to make room for residential high-rises. Have you ever seen works in the Brooklyn Collective? Which were your favorite? LOVE LOVE LOVE! I have a bit of PTSD since our apt was broken into back when we lived in Bushwick, but I should really go back and check out the more recent street art. It’s what drew me to the hood in the first place, after all! I really dig the flamingo piece. I do as well! I am sorry to hear about the break-in! I would probably have PTSD too! No one was hurt right? Love this post! The art in Bushwick is really amazing. Thanks for sharing it I would have never known about it without your post. I agree Cory Lee! Bushwick does have some excellent street art!